Two Cherries ScorpThe Scorp is typically used for working convex surfaces such as when scooping out bowls or chairseats. Hand forged out of the highest quality German steel. The 1 1/4" wide blade is formed into roundish shape with a 3 1/2" diameter. Overall tool length is 7" long. 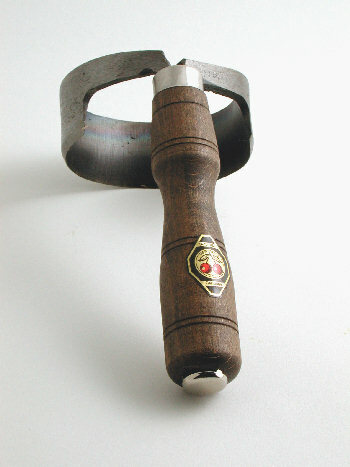 This tool is crafted by hand and as such may appear a little rough. By Two Cherries.